How have the events of the past two years shaped attitudes towards Ukraine among your colleagues in Washington DC and in the U.S. diplomatic service? I think everyone in the U.S. government – from the White House to the State Department and here at our Embassy in Kyiv – recognizes that this is a moment of opportunity for Ukraine. We were all inspired by the strength and determination that the Ukrainian people showed on the Maidan – their willingness to stand tall and refuse to allow their government to steal from them the European future they want and deserve. Today, you have a real democracy in Ukraine. You have leaders committed to making necessary reforms to keep Ukraine squarely on the path to European integration. And that progress toward realizing the promise of Maidan – of building a truly representative government rooted in freedom and dignity  – undergirds our partnership with the Ukrainian people and their government. 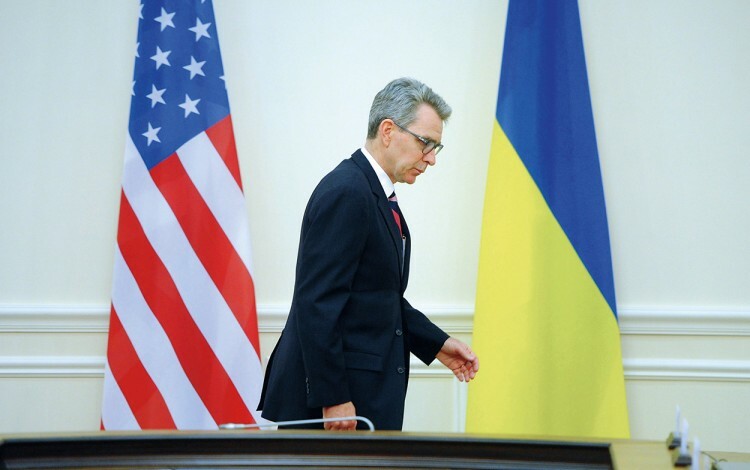 Ever since 1991 America has been a major supporter of Ukraine’s post-Soviet transition, but in recent months U.S. officials (including yourself) have become increasingly outspoken in their criticism of Ukraine’s current reform efforts. At what point will American patience run out? To be fair, these are concerns that are being expressed, first and foremost, by the Ukrainian people. The Ukrainian people have consistently said that they want to see more reforms happen faster, and that the number one issue that needs to be tackled by the government is rooting out the endemic corruption that has characterized the past two decades since Ukraine gained its independence. So the Ukrainian people are in the driver’s seat. And they want to see their leaders keep their foot on the gas when it comes to implementing reforms. That means showing the Ukrainian people that they are delivering meaningful change and making real progress. As for the United States, we’ve consistently said that if Ukraine keeps reforming, we’ll keep supporting. Numerous voices within Ukraine, including members of parliament, have raised concerns that America exerts undue influence on the current Ukrainian authorities. What is your response to these concerns? Ukraine’s future is for the Ukrainian people to decide. They’re the ones who stood on the Maidan. They’re the ones fighting to protect their country against Russian aggression in the east, and who are leading the charge to build a representative democracy that is accountable to the people. Our diplomacy is focused on ensuring that Ukraine’s future is determined by the Ukrainian people – not by Moscow, or Washington, or anyone else. American private sector investment into Ukraine could play a major role in helping consolidate the country’s successful transition away from the corrupt post-Soviet model. Based on your interaction with American business leaders, what are the priorities for Ukrainian authorities in order to improve the investment climate in the country? This was a huge focus of Secretary Pritzker’s visit when she was here last month. First and foremost, it’s important to recognize the notable progress that Ukraine has made. In the last year, foreign reserves have grown from USD 5 billion to USD 12 billion, industrial production has stabilized, agricultural exports are increasing, the currency has stabilized, and experts predict a return to overall economic growth in 2016. These are the returns on the hard but important reform progress that the Rada has made in conjunction with the Prime Minister and the President. There’s still a long road ahead for Ukraine to reach its full economic potential. To get there, Ukraine has to stay the course and continue to make meaningful progress on reform. That’s not only the key to maintaining the support of the international community in the near-term, it’s also absolutely critical to creating a climate where U.S. and other global companies like the ones that traveled with Secretary Pritzker — businesses like Cargill, Citibank, Dupont, Honeywell, NCH Capital, and Westinghouse – have the confidence to invest. “Money is a coward,” one of the CEOs traveling with Secretary Pritzker told the Ukrainian Prime Minister. They will want to see that reforms stick and the IMF conditions are complied with. They want to make sure that the environment is one where they’re taking a business risk, not other unknown risk. 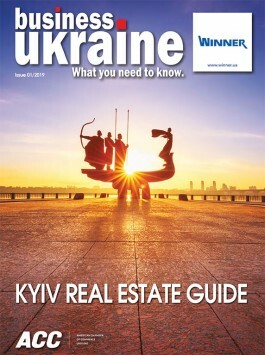 Only then will you see them bringing their resources, their technology, and their capital to the Ukrainian market. Getting there requires that Ukraine tackle corruption, make its infrastructure more efficient and attractive for investors, reduce excessive regulations, raise the professionalism of its judiciary, better protect intellectual property, and improve its tax administration. We know that these changes are hard – not only for the Ukrainian government, but also for the Ukrainian people. That’s why the proceeds of the third USD 1 billion dollar loan guarantee Secretary Pritzker announced will be focused on helping the Ukrainian government protect those most vulnerable to the impact of the necessary economic adjustments. One of the American CEOs who traveled with Secretary Pritzker told the President and Prime Minister, “Don’t blink. Keep it up.” That’s the same message we’ve been conveying publicly and privately. Because pressing ahead and accelerating the process of reform will benefit the people of Ukraine. And it’s an effort that the United States will continue to put all of its energy into supporting. The Kremlin has sought to portray the conflict in east Ukraine as a proxy war between the US and Russia. Are you concerned that high-profile American support for Ukraine - whether it is non-lethal military aid or other forms of support - can be exploited to further this Kremlin narrative? I don’t spend much time focusing on “Kremlin narratives.” Everyone knows the Kremlin seeks to use information to deny, deceive, and confuse – to sow seeds of doubt to provide cover for its manufactured war in eastern Ukraine. You could spend every hour of every day trying to bat down every lie, to the point where you don’t achieve anything else. And that’s exactly what the Kremlin wants. Our focus is on how we can help the Ukrainian government build the future the Ukrainian people want and deserve. That’s why we’re looking at expanding access to English; helping young entrepreneurs; helping train new, clean police; supporting civic activism; working with governments to help them streamline processes to meet citizens’ needs – the things that matter. You are an active social media user with a large online following. What has your experience in Ukraine taught you about the role of social media in public diplomacy? News and information travel fast. The world is more connected than ever. And if you want to keep up, you have to ride the wave, learn the latest technology, find your voice, and most important: participate in the conversation. Your high social media profile leaves you exposed to online attacks from fringe elements and so-called Kremlin trolls. How big an issue is this, and how have you dealt with it? That’s easy: by ignoring them. Many of your predecessors in the post of US Ambassador to Ukraine have remained deeply engaged with Ukraine since leaving Kyiv, taking on prominent roles in the public debate during the current crisis. Do you anticipate following in their footsteps and maintaining your ties to the country? I really enjoy my work as Ambassador, and with everything that’s going on, I frankly haven’t given much thought to what comes next. But it’s impossible - having lived through such a momentous and consequential time in Ukraine’s history, and having built such extraordinary relationships – to imagine leaving here without maintaining what I really see as enduring ties with Ukraine. As someone who has travelled extensively to virtually every corner of Ukraine, what is your personal impression of the impact that the events of the past two years have had on Ukrainian society? What you hear from the Ukrainian people is consistent from east to west. The Ukrainian people want to live in freedom and dignity. They want to determine their own future. They overwhelmingly support closer ties with Europe. They want their children to have a brighter and more prosperous future that affords them the opportunity to reach their full potential. And for Ukrainians – particularly young people – there is no turning back. There can be no return to the past. There can be no tolerance for the corruption and cronyism that have dominated Ukraine’s past. So when I look at the creative, innovative, entrepreneurial energy of young people who want to be more connected with the rest of the world than ever before, and their willingness to stand up for what they believe in with such incredible resilience and determination, I am confident that Ukraine’s future is bright.